Suede cover stitched on Stainless Steering wheel. •	Simpson Lawrence electric windlass with foot operated switches + Remote from cockpit. •	GPS, Windspeed and direction, Log, Depth, all linked through sea talk system. Westerly Ocean Quests were designed for ease of sailing and a high standard of luxury home comforts on the seas. 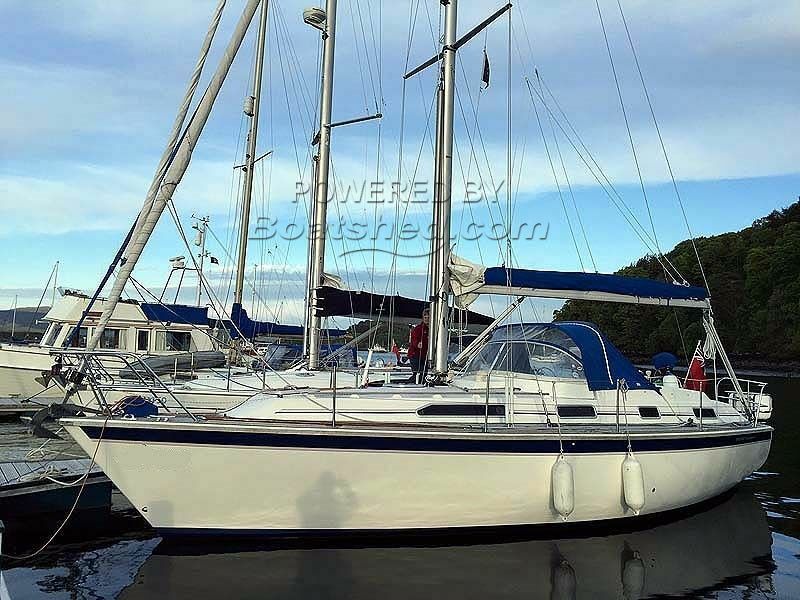 This one has all those attributes, with the current owners staying on top of ongoing maintenance. The inventory is almost endless, in fact it is difficult to imagine what else you might need to sail her away. There is no doubt these owners were not going to get caught out. This Westerly Oceanquest 35 has been personally photographed and viewed by Ian Sawkins of Boatshed Scotland. Click here for contact details.